In honor of Veteran’s Day 2014. I have been pondering something for a while. I discussed in an earlier post that George Stevens was a recipient of the Rhodes scholarship. My second cousin, Joe, recently sent me an email about some research he had discovered about George’s time at Oxford. So, I thought I would look into it a bit further. The Scholarship was formed in 1903 by the will of Cecil Rhodes for the education of “future leaders for the world who would be committed to service in the public good, and whose interactions in Oxford would promote international understanding.” Since its inception, there have only been 7,603 Rhodes scholarship recipients (Rhodeshouse, 2014). This low number makes this award one of the most prestigious collegiate award in history. George joined the United States Army and became a 2nd Lieutenant in the 313rd Field Artillery with the 80th Division. His service card also indicates that he started with the 87th Division and 335th Machine Gun Artillery. He served overseas from 24 August 1918 to 13th July 1919. He fought at Argonne and St. Mihiel to name a few. When the war was over, he went back to Oxford to finish his studies. He took a special short degree in Literature and Humanities. 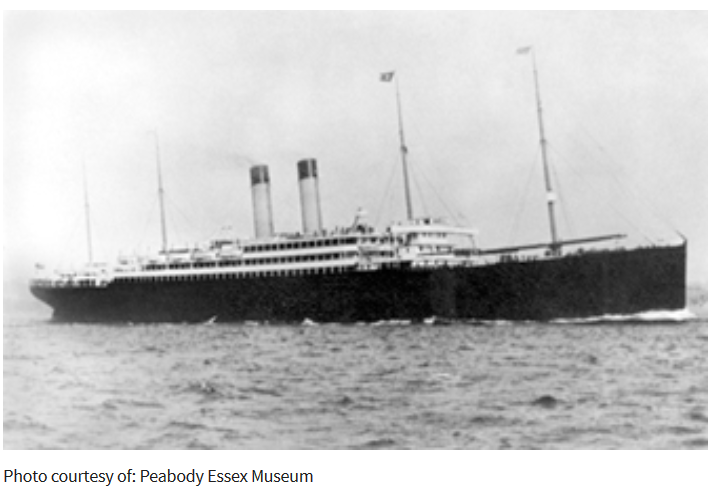 After graduating he returned to the United States. He went to California for his health. Apparently he suffered from the same debilitating arthritis that claimed his mother. He was an associate professor at the University of California in the Public Speaking department from 1922-1926. He then became a lawyer and practiced law in San Mateo County California. In 1942, George was treated at the US Veteran’s Facility in Whipple, Arizona. In fact, his World War II draft card indicates he was a patient at the facility. He was listed as 5’ 9” tall and only 108 pounds. According to the record, George was too ill to contact. The facility completed the document on 28 April 1942. In July 1944 he moved to a military hospital in Bay Pines, Florida. He subsequently died on 24 January 1946. I wanted to know what he died of at such an early age. I sent away to the Florida Department of Vital Statistics. I was shocked to see that he spent 551 days at the Bay Pines Veteran’s Hospital. The cause of death was listed as Myocardial degeneration with dilation, Arthritis deformans with secondary anemia (Florida Vital Records). Essentially he died from a dilated weakened heart muscle. The hospital had performed a surgery on his sinuses but they were unable to control the bleeding afterwards. George also suffered from Rheumatoid Arthritis like his mother, however back in the 1940’s they called it Arthritis Deformans. 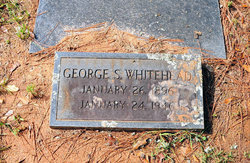 His body was removed and sent home to Georgia to be buried with the family in the Stevens Family Cemetery at Sandy Cross, Oglethorpe County, Georgia. the Carlton Baptist Church last Sunday afternoon at 2:00 o’clock. nieces and nephews. (You notice that the obituary has errors. His brother Fred was from Chicago, and his brother Walter Joe was from Carlton). England as a Rhodes Scholar, studying at Balliol College, Oxford University. LLB from LaSalle Extension University. the time he became ill (Usgwarchives).